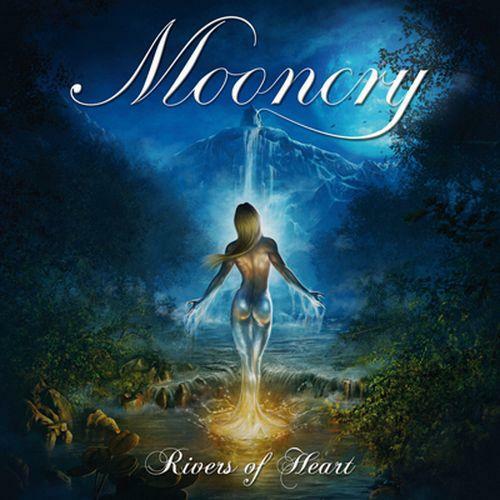 Mooncry - "Rivers of Heart"
MOONCRY is settled in Southern Germany at the Lake Constance. The band creates a special and distinctive sound, which may be described as Dark Melodic Metal or as Symphonic Power Metal with elements of Gothic and Thrash. Powerful heavy guitar riffs with classical orchestral keyboard sound and energetic bass drumming, frames the melancholic poetries of diversified and powerful male vocals. The songs tells of hurting, anger and frustration but also of hope and desire in a very pictured way. With its mystical and dark emotional tunes, MOONCRY creates a truly dynamic and touching atmosphere. The band was found in 2006 and consists of young and creative, but also very live performance experienced musicians. In 2007 MOONCRY released their debut album “Legacy of Hope” with a lot of positive feedback by magazines and webzines. Through an interview and a sample track in the well-known German Metal magazine “Legacy” and impressing live performances (E. g. MyMusic expo), MOONCRY soon had become quite popular in southern Germany. In 2010 MOONCRY produced their second long player „ Rivers of Heart“ in the Empire Studios of Rolf Munkes (Tony Martin/ex Black Sabbath). This record was rated exceptionally well again and also followed by an interview and a sample track in the “Legacy” magazine. Finally in July 2010 MOONCRY signed a worldwide distribution deal with the established label and music distributor Twilight. MOONCRY is a band that definitely stands out of the masses. Powerful metal and emotional melodies at its best will be performed professionally and authentically by amazing live shows. MOONCRY was found in 2006 in Southern Germany at the Lake Constance. The band creates a special and distinctive sound, which may be described as Dark Melodic Metal or as Symphonic Power Metal with elements of Gothic and Thrash.